With over fifteen years of nonprofit management experience, she has gained valuable and diverse experience in all aspects of nonprofit management. This includes financial management, donor cultivation, event planning, project management, training and facilitation and developing online courses. After graduating from the University of California, San Diego (UCSD) with a Bachelor’s Degree in International Studies, she immediately entered the nonprofit world by working with Council on American-Islamic Relations (CAIR), a national civil rights and advocacy nonprofit. 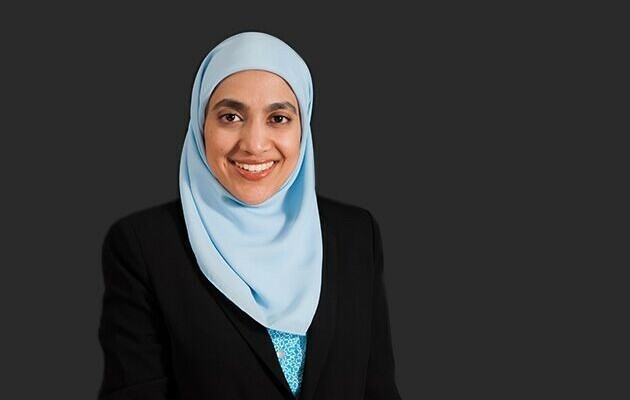 Her work with CAIR included co-founding the San Diego office and working as the Membership and Administrative Manager for Greater Los Angeles Area office for five years. She currently serves as a board member for CAIR – California. Wanting to delve deeper into nonprofit management, she attended University of Southern California (USC) to obtain her Master’s in Public Administration. During her time at USC, she was also rewarded the HRH Prince Alwaleed Bin Talal Islamic Society of North America (ISNA) Fellowship for two consecutive years. This fellowship is awarded to 10 American-Muslim graduate students each year and provides education and training in nonprofit management and philanthropy in order to become effective leaders of nonprofits. This fellowship also provided Anbar an opportunity to manage consulting projects for ISNA’s sister organizations. Additionally, she acted the co-chair of the Nonprofit Committee of the student-run organization Graduate Policy Administration Community (GPAC), where she co-founded the school’s first Nonprofit Case Challenge. Anbar is also a graduate of the New Leader’s Council (NLC) fellowship; a fellowship geared towards young professionals who attend an intense, five-month progressive entrepreneurship-training program. Anbar currently lives in Seattle, WA.